FDA Asks Doctors To Stop Prescribing High-Dose Acetaminophen : Shots - Health News Acetaminophen overdoses, many of which are inadvertent, are a leading cause of acute liver failure. People taking several kinds of drugs may not realize that more than one of them can contain acetaminophen. 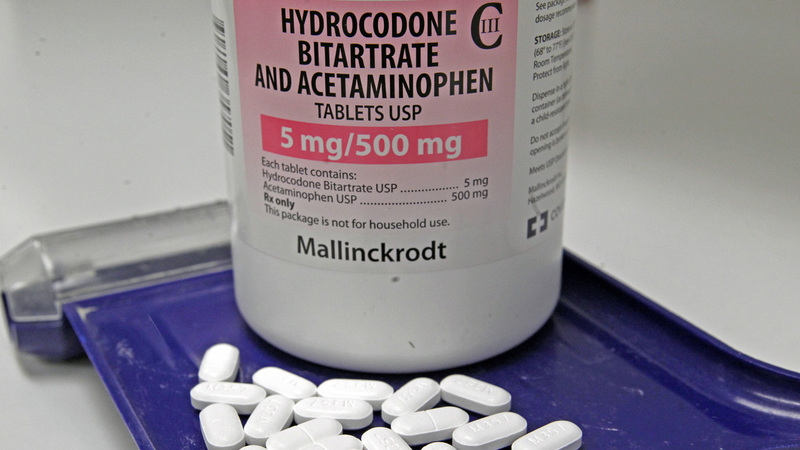 The prescription painkiller sold under the brand-name Vicodin contains hydrocodone bitartrate and acetaminophen. To reduce the risk of liver damage, the Food and Drug Administration is moving to limit the amount of acetaminophen allowed in prescription medicines. The pain reliever acetaminophen is easy on the stomach. But at high doses, the drug can be hell on the liver. Now the Food and Drug Administration is asking doctors to refrain from prescribing drugs that contain high doses of acetaminophen to minimize the risk of liver damage. Acetaminophen is the active ingredient in nonprescription Tylenol. But it's also inside quite a few prescription pain pills, including Vicodin and Percocet. Acetaminophen overdoses, many of which are inadvertent, are a leading cause of acute liver failure. People taking several kinds of drugs may not realize that more than one of them can contain acetaminophen. Add a few together, and you can run into trouble. Drinking alcohol along with acetaminophen also raises the risk. Three years ago the Food and Drug Administration asked drugmakers to voluntarily limit the amount of acetaminophen in prescription drugs to no more than 325 milligrams per pill. More than half have, the agency said, but many haven't. For now then, it's up to consumers and health professionals to limit acetaminophen risks. "There are no available data to show that taking more than 325 mg of acetaminophen per dosage unit provides additional benefit that outweighs the added risks for liver injury." The agency also said it would soon require prescription drugmakers that haven't voluntarily limited acetaminophen to the 325 milligram maximum to take their high-dose drugs off the market, but that could take a while.